The Ironman All Country M/T – Take the Outstanding Off-Road. Shoulder blocks easily shovel away silt and sand and enhance traction on off-road surfaces. Three-ply sidewall protects against cutting and tearing. Void ratio effectively promotes self-cleaning capability in muddy conditions. 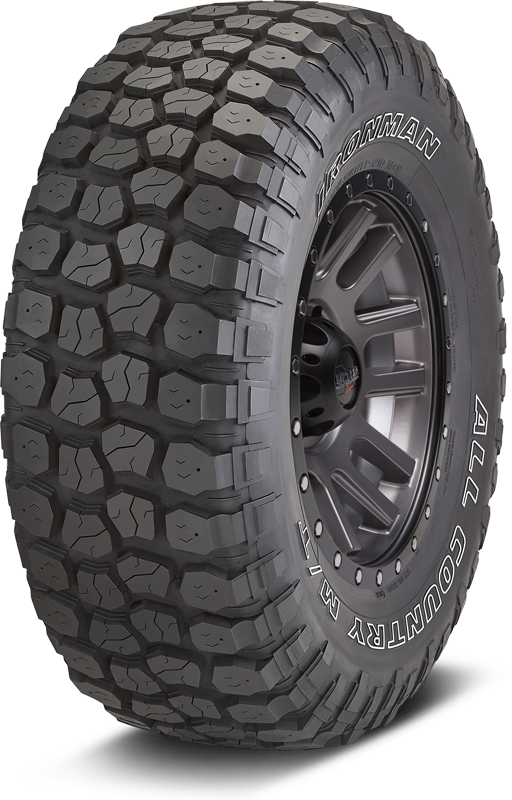 Studdable tread for extra "bite" in severe weather applications. Have a set of your 35s on my wife's 2014 JKU and we absolutely love them. We plan on putting them on my Cherokee and putting your 37s on hers.